Ashurst Academy Irish Dancers perform during Molly Darcy's 25th annual St. Patrick's Day Parade Fundraiser on Sunday February 10, 2019. DANBURY — The Greater Danbury Irish Cultural Center will be celebrating St. Patrick’s Day for the next month with activities and events, including the annual Danbury St. Patrick’s Day Parade on Sunday, March 24. 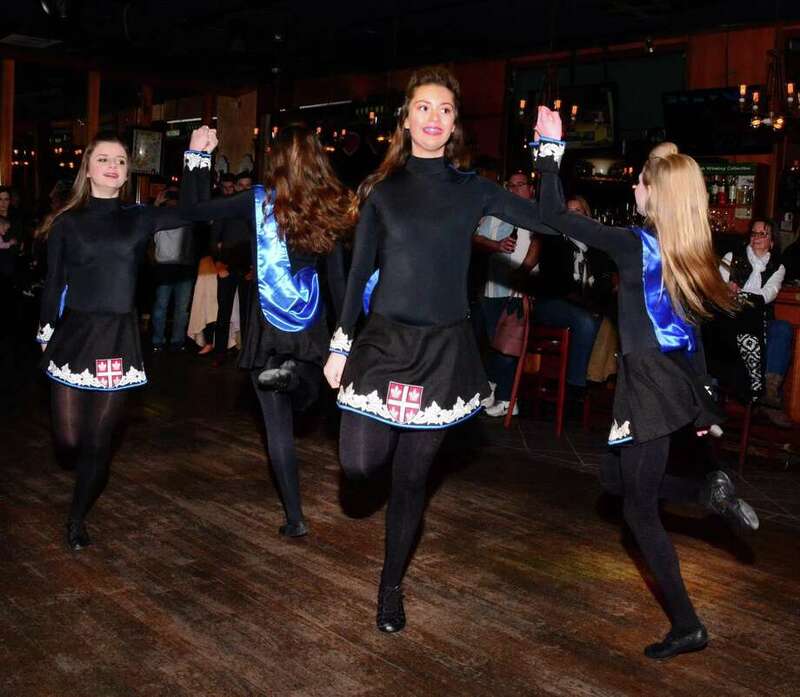 The Danbury Irish Club kicked off its month-long celebration Sunday with a parade fundraiser at Molly Darcy’s, featuring food and performances by Irish dancers and bands. The St. Patrick’s Day Parade is one of the club’s two major annual events — the other being the Greater Danbury Irish Festival held in September. This year’s parade will step off at 2 p.m. in front of St. Peter’s Church on Main Street. The parade will make its way down West Street to Lake Avenue, and end at the Greater Danbury Irish Cultural Center, where a post-parade party will be held. Parade co-chair Wendy Mitchell said the parade has grown and attendees can expect to see “a few more marchers” this year. “It draws people not just from Danbury, but towns like New Milford, Norwalk, Newtown and Bethel,” said Mitchell. One of this year’s parade sponsors is Redding-based Rising Starr Horse Rescue, which will be bringing a horse named Pixi for meet-and-greets at the post-parade party. There are many reasons why people should attend the parade and the festivities that follow, said Mitchell, including family-friendly activities, musicians, dancers and candy. Mitchell said she’s looking forward to “seeing people from all walks of life” at the parade. Some of the other events the Danbury Irish Club has lined up next month include a St. Patrick’s Day Ball at the Amber Room Colonnade on March 9, a mass at St. Peter’s Church on March 16, and flag-raising events in Danbury, Bethel and New Fairfield. The St. Patrick’s Day Parade has at least 14 sponsors already, Mitchell said, but the parade committee is seeking more. For $50 to $1,000, sponsors can have their names or business logos printed on the parade T-shirts, a poster at the Danbury Irish Club, a parade float, and can be included in advertisements and promotions. For sponsorship information, contact Mitchell at 203-501-7424 or wendyannmitchell@live.com, or parade co-chair Kevin Hearty at 203-746-2212 or kevin.hearty@ncps-k12.org.